In the last decade, the retail prices of luxury watches has risen faster than inflation and incomes, they are getting more expensive quicker than most can afford. That is untenable in the long run. 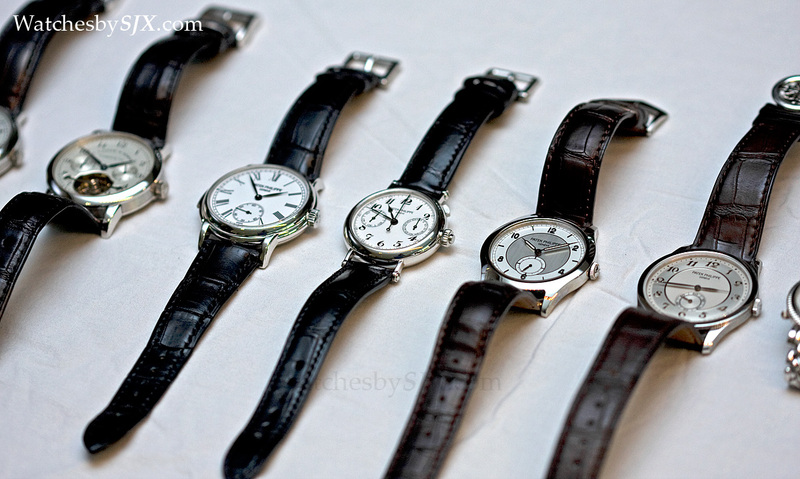 Already for 2013 watch exports from Switzerland are flat, a stark contrast with the rapid growth of previous years. Even though the outlook for the whole watch industry is uncertain – no brand will be immune from this – the outcome is likely to be positive for the watch buyer. Several developments have given rise to the current situation, including consumer fatigue, especially in more developed markets that are saturated with watches, retailers and boutiques. And demand has fallen sharply in China, the largest market for luxury watches, after a crackdown on corruption. Watch production has increased apace for the last decade, with every additional year of production having a cumulative effect. Watches, arguably more than other luxury goods like bags or cars, have far greater longevity. So what happens next? One consequence is a reduction in retail prices, though this is as rare as pigs flying across a blue moon. In 2013 a handful of brands lowered retail prices, either in specific markets or globally. Audemars Piguet wisely reduced the retail prices of its precious metal watches, namely gold and platinum, by about a quarter globally. Lower metal commodity prices were given as the reason for the adjustment. Patek Philippe unveiled new versions of existing models, but at lower prices in certain markets, including Singapore, one of the key markets in Asia. Whereas the grey or blue dial ref. 5960P chronograph with annual calendar is 134,500 Singapore dollars, the new version with a black dial is 113,400 Singapore dollars, about 16% less. One reason given for these price adjustments is to introduce parity in watch prices. Because of the Swiss franc’s appreciation and subsequent depreciation in 2011, watch prices in Asia were significantly higher than in Europe. But more affordable prices certainly do not hurt in a slowing market. But price reductions are the exception rather than the rule. Watch prices tend to be extremely sticky. Most brands will not reduce prices, even during a downturn. They would rather suffer a drop in sales than compromise the integrity of the brand. High prices, after all, are one of the key elements of a luxury good. This is especially so for the high-end brands in the big luxury groups like Richemont and the Swatch Group, because brand equity is paramount, and also because they can afford to wait it out. It is no surprise that both Audemars Piguet and Patek Philippe are independent and family-owned, which gives them the flexibility and impetus to adjust pricing. So instead of lowering prices, what most brands will do, is to provide better value for money. Products in the pipeline will be launched at less ambitious prices, like the new IWC Aquatimer in bronze which will retail for about US$12,000. While by no means a bargain, that sum is significantly less than was suggested when the watch was first pitched last year. Brands will also apply their creative talents to developing new watches that offer more bang for the proverbial buck. A common tactic will be to unveil models equipped with in-house movements priced close to the equivalents with ETA movements. The Cartier Tank MC, for instance, retails for about the same as the ETA-powered Santos 100. Some brands will go further and reverse their strategy of moving up the price ladder. When times were good, the ambition of most CEOs was to increase the average selling price, thus boosting both the top line and profit. But with business slack, some brands will seek to return to the sweet spot they vacated not too long ago. To see what this entails, look no further than Zenith. Its products went from outrageously expensive to reasonable when Jean-Frederic Dufour took over. But the consequences of a slowing market extend beyond the brands. All along the supply chain inventories will increase. Excess inventory often leaks out onto the grey market, which has a gradual and stealthy effect of downwards pressure on prices at retail and on the secondary market. Whatever happens, the big brands and groups will survive, perhaps leaner and hopefully wiser. They are protected by strong balance sheets built up during the fat years, like Richemont which is sitting on net cash of over €3 billion. But smaller, independent brands will find the going tough and some will not make it. Some of the departed brands will be missed by collectors, and horology will be poorer for it. But fear not for the next boom will unleash another wave of new brands, and the cycle will begin anew. For more than a decade the luxury watch industry has enjoyed a tremendous and lucrative boom. More people were buying more expensive watches than ever before. But things seem to have come to a head, and the business is at an inflexion point. Thus the relevance of a question frequently asked: are watches too expensive?